AMD’s family of desktop Zen CPUs code named Summit Ridge will reportedly be available on shelves by February next year. Accompanied by a collection of AM4 motherboards, flagshipped by the company’s brand new high-end X370 series chipset. 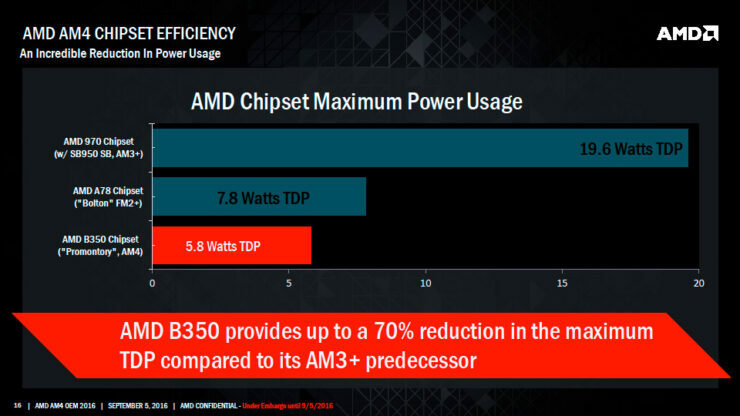 This update which we’re bringing you courtesy of our friend Chris L over at Benchlife also makes mention of AMD’s new Bristol Ridge series of desktop APUs based on the Excavator CPU architecture and GCN 3.0 graphics architecture. Summit Ridge & Bristol Ridge CPUs & APUs share pin to pin compatibility on the AM4 socket. Giving prospective Bristol Ridge owners a clear upgrade path to the high-end Zen “Summit Ridge” parts. Bristol Ridge APUs have begun shipping to OEMs earlier in the week. Boxed DIY Bristol Ridge APUs will be available, we’re told, in retail stores some time within the next couple of months. 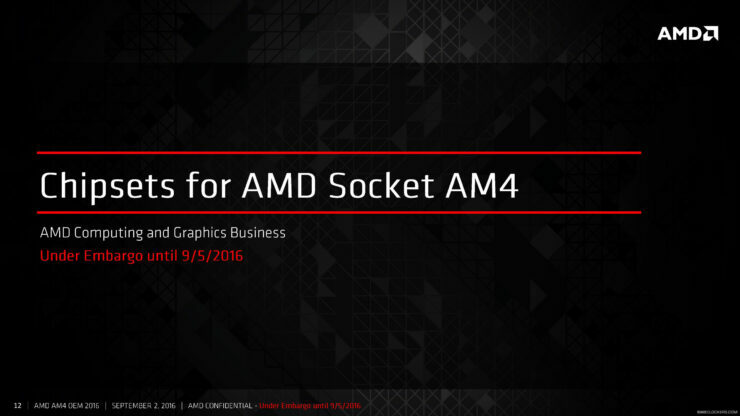 There will be three different chipsets for the AM4 socket to serve different areas of the market. The highest end chipset has now been revealed to be the X370. If you’re planning to build a Summit Ridge based build this will likely your best way to go. Along with the X370 chipset AM4 will also support two other chipsets for the mid-range and entry level market dubbed “B350” and “A320”. 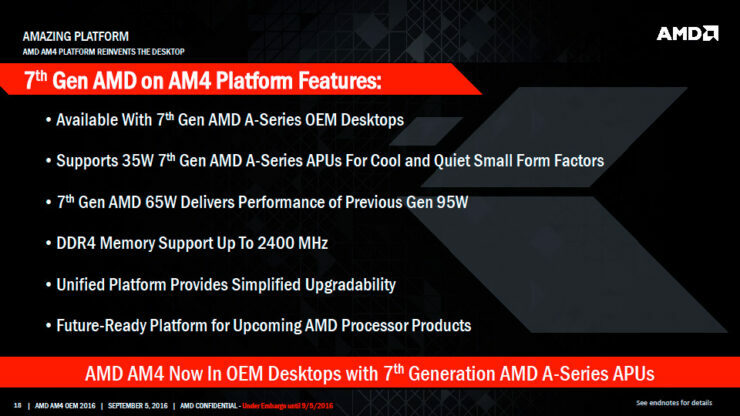 From 7th Gen APUs to upcoming Zen-based “Summit Ridge” desktop processors, the future-ready AM4 platform features the newest I/O standards and an AMD commitment to support it into the future. 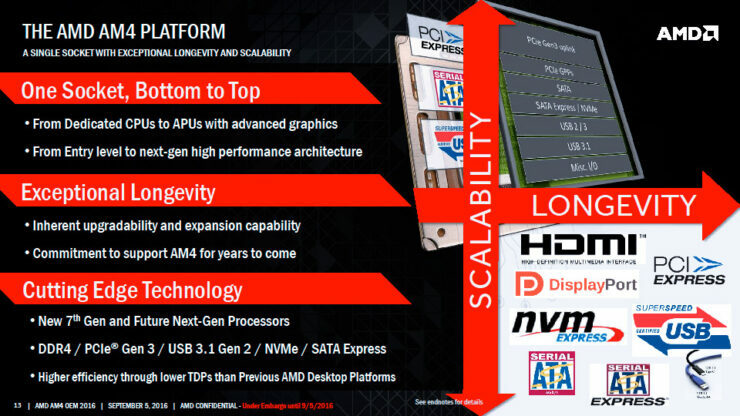 The initial “Zen” cores for “Summit Ridge”-powered desktops will utilize the AMD AM4 socket, a new unified socket infrastructure that is compatible with 7th Generation AMD A-Series desktop processors. With dedicated PCIe® lanes for cutting-edge USB, graphics, data and other I/O, the AMD AM4 platform will not steal lanes from other devices and components. This allows users to enjoy systems with improved responsiveness and the future looking technologies that the AM4 platform provides, resulting in a powerful, scalable and reliable computing solution for all their needs. According to Benchlife’s Chris L, motherboard makers are already building their inventories of all three AM4 chipsets. Rumor has it, as we had reported a couple of weeks back, that motherboard makers are planning to showcase their new AM4 motherboards this upcoming October. This inventory build-up while well underway will reportedly take several months to be market ready due to the large inventories. 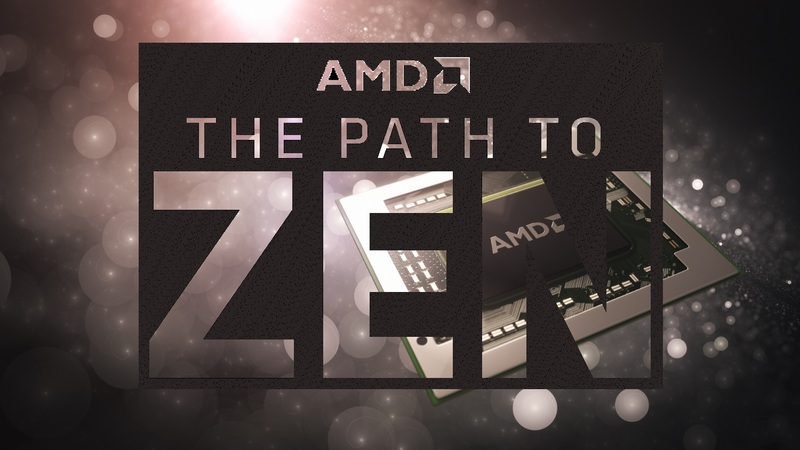 One thing that AMD has hinted at during its recent performance demonstration of Zen which wowed the press, is that we’ll see Zen on display at CES in January of 2017. That’s when Summit RIdge is expected to officially launch. Assuming everything goes according to plan this means that high-end X370 AM4 motherboards and desktop Zen CPUs should be available on-shelves by February of next year. Interestingly the report also included some minor updates regarding Intel’s upcoming Kaby Lake desktop CPUs. 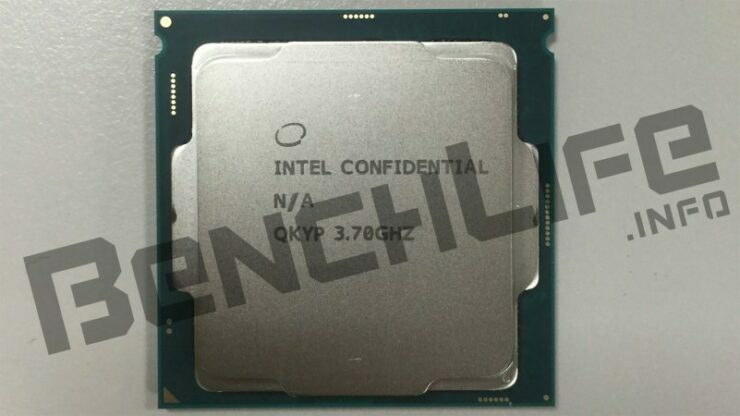 Kaby Lake processors will be compatible with two upcoming chipsets, Z270 as well as H270 in addition to the existing H110 chipset for the entry level. Quadcore Kaby Lake desktop processors will reportedly be the highest end offering Intel will showcase at CES next year. 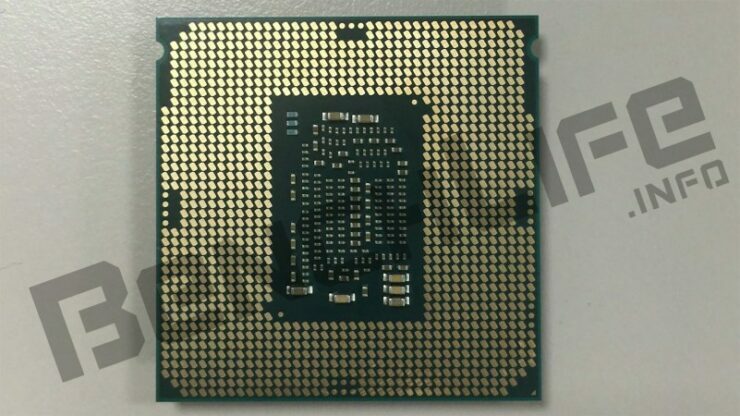 Notably absent from the show will be the enthusiast 6, 8 and 10 core Skylake-X CPUs. Additionally Kaby Lake has reportedly been slightly postponed, however no specific timeline for availability was provided beyond Q1 2017. As I write this the official word from Intel is that Kaby Lake is coming in January for the desktop. So it remains to be seen if and how much of a delay these chips will face. Kaby Lake is Intel’s third generation 14nm based CPU family. 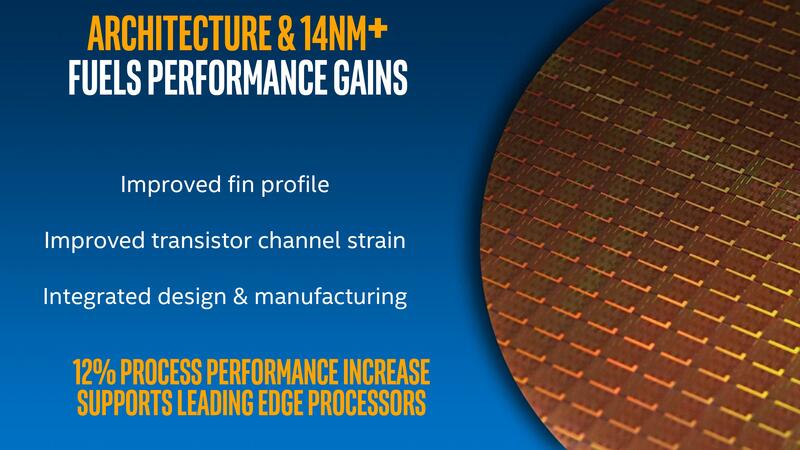 Featuring the same Skylake core architecture manufactured on an updated 14nm PLUS process. Fine tuned to squeeze out every last drop of power efficiency and Mhz and it shows. The flagship Kaby Lake part, the quadcore eight thread i7 7700K, features a core clock speed of 4.2Ghz with an impressive boost clock of 4.5Ghz. 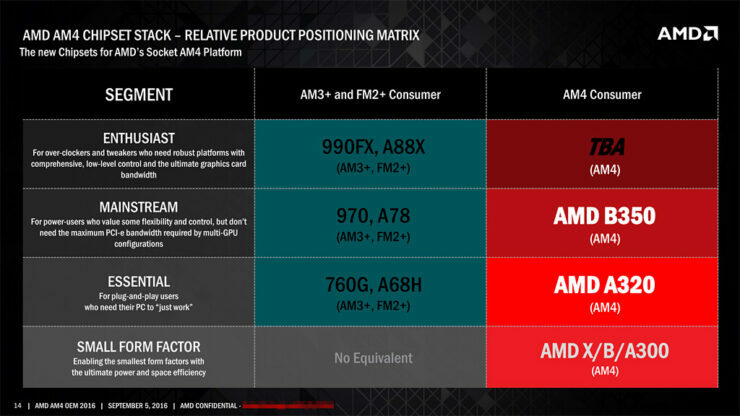 While that’s not necessarily going to be enough to compete with AMD’s eight core Zen part. Which the company demoed live last month outperforming Intel’s 8 core i7 6900K clock for clock. It’s enough to make a quadcore CPU perhaps interesting again. One thing Intel has plenty of is wiggle room. Simply cutting prices of its enthusiast Broadwell-E processors could prove effective in holding some ground until Skylake-X debuts. Whatever Intel’s game plan may be, it’s extraordinarily exciting to know that we’re only a few months away from seeing fierce competition back in the CPU arena.